The Postelles release their sophomore album, …And It Shook Me, today on +1 Records. The album features Alex Winston on the song ‘Pretend It’s Love.’ The band is streaming the entire record on their SoundCloud for a limited time HERE, and is for purchase HERE. AllMusic streamed …And It Shook Me last week, saying it "reveals a band with an ear for propulsive, retro-influenced pop." NYLON agrees, "they churn out perfect pop-inflected rock songs like it’s second nature." 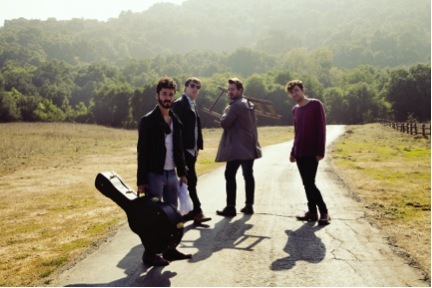 The Postelles will be supporting Atlas Genius on tour this May and June and have just announced headlining dates that include the Bootleg Theater in Los Angeles, CA on May 21 and The Studio at Webster Hall in New York, NY at on June 11. See additional dates below.